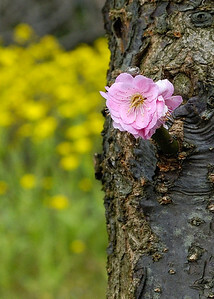 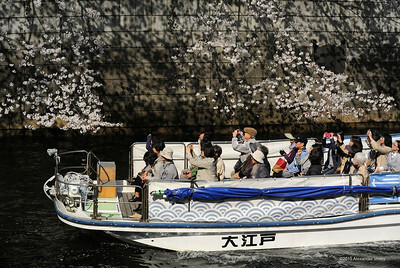 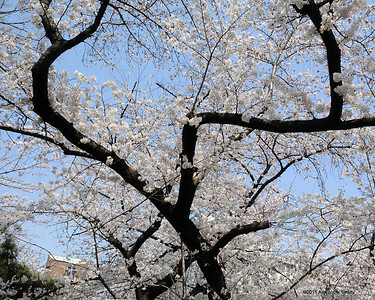 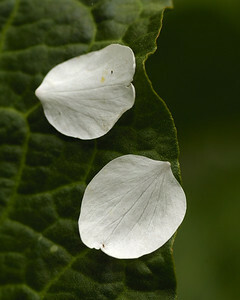 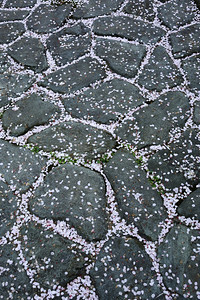 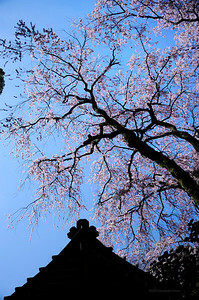 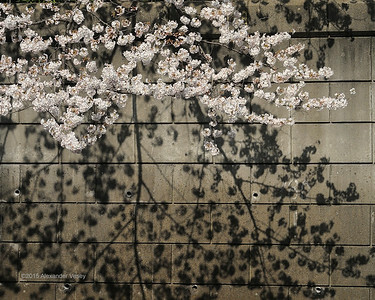 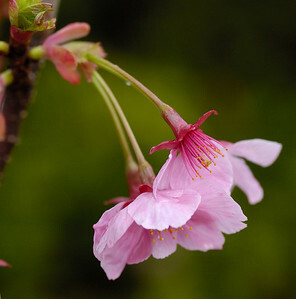 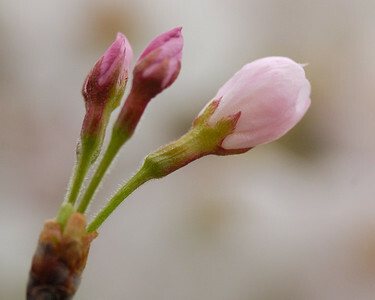 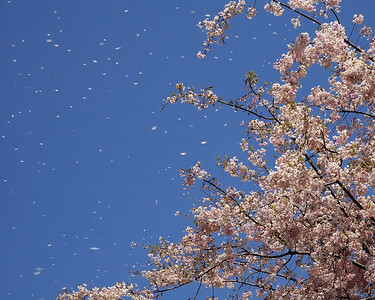 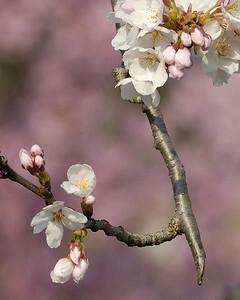 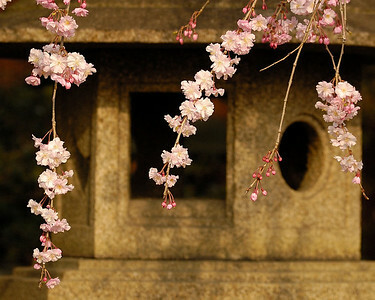 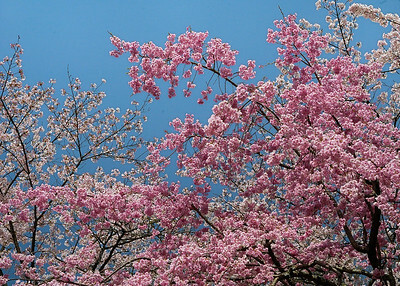 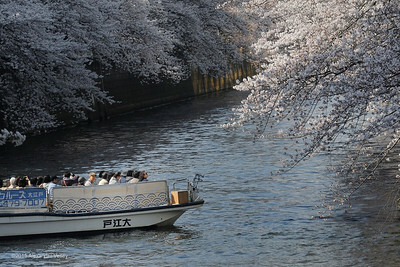 One hallmark of spring in Japan, the sakura blossoms are always a wonderful, if brief, show. 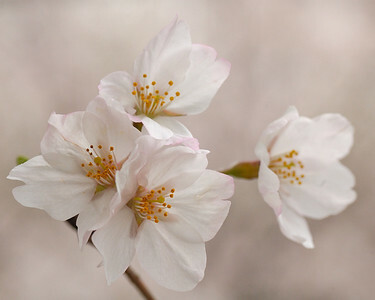 Close up taken with a Nikon D70s and Tokina 90mm f2.5. 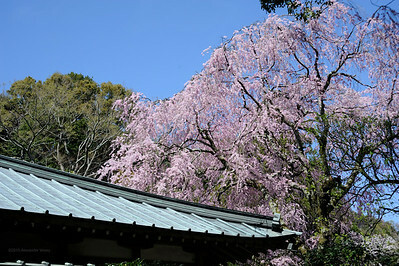 The sakura in bloom at Shojiji. 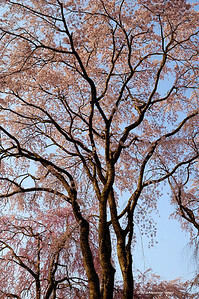 The lone hiker at the bottom gives some idea of the size of the trees. 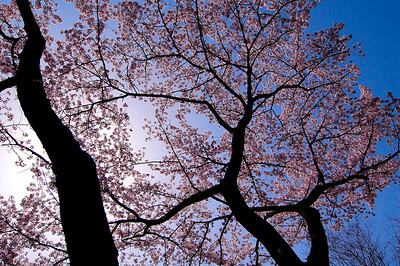 Sakura at Shojiji. 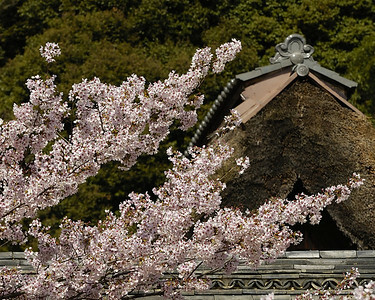 The thatched roof is the Priest's Residence (kuri 庫裡). 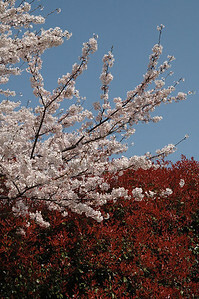 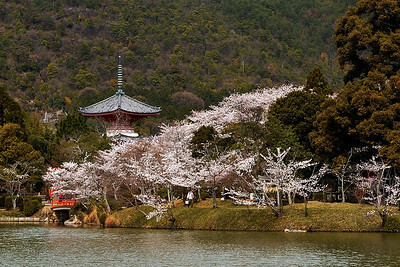 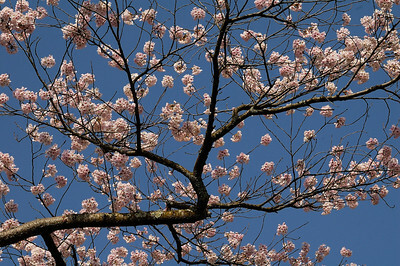 Large cherry (sakura) nearSaga- Hirosawa Pond, Kyoto.